There are plenty of options in the mid-size sedan class, but the new Hyundai Sonata stands out from the pack by offering premium features at a highly competitive price. Hyundai's latest Sonata is highlighted by a choice of efficient powertrains and well-appointed trim levels that feel tailored to your needs and budget. Car buyers near Talladega, AL who are in search of a new family sedan can explore the new Hyundai Sonata at Jim Burke Hyundai. We have an extensive inventory of new Hyundai Sonata sedans in Birmingham, AL for you to shop, either here on our website or during your visit to our dealership. Before you shop for a new Sonata, read more about Hyundai's feature-rich mid-size sedan! When you choose Hyundai's new Sonata sedan, you are rewarded with a spacious interior, featuring more than 106 cubic feet of passenger volume and seating for five passengers. Behind the 60/40 split-folding rear bench seat lies over 16 cubic feet of cargo space in the trunk. Hyundai offers it very latest technology features in the new Sonata, like a proximity key, smart cruise control with start/stop capability and a touchscreen navigation system, plus Android Auto and Apple CarPlay integration. The available 9-speaker Infinity audio system, heated and ventilated front bucket seats and leather-upholstered seating for five highlight the upscale features offered by Hyundai at a great price. Three engines are offered in the new Sonata sedan, each providing a smart mix of efficiency and power. 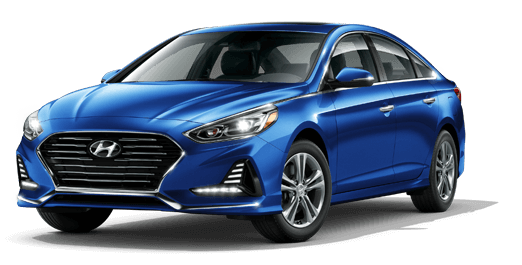 The Sonata base model comes equipped with Hyundai's 2.4-liter inline 4-cylinder engine that generates 185 hp and 178 lb-ft of torque, while the available 1.6-liter turbocharged engine of the Sonata Eco model produces 178 hp, 195 lb-ft of torque and enhanced fuel economy. The new Sonata's available 1.6-liter turbo engine is a stellar choice for drivers who want to maximize fuel efficiency, and comes fitted with a highly efficient 7-speed dual-clutch transmission (DCT). Lastly, Hyundai's turbocharged 2.0-liter 4-cylinder is available and propels the new Sonata with a thrilling 245 hp and 260 lb-ft of torque! The very latest Hyundai Sonata mid-size sedans are available now. For a test drive of the stylish new Sonata sedan near Tuscaloosa, AL, visit Jim Burke Hyundai in Birmingham. Our service department can take care of any routine maintenance your Sonata or other Hyundai vehicle may need down the road. Visit or shop online at Jim Burke Hyundai today!